While recovering from an illness in January of 2009, Michele Gannon realized how difficult it is for women who are dealing with cancer to take care of their families and homes while still trying to maintain their own physical and emotional health. She wanted to establish a place where women with cancer can find healing and respite. The experience led her to found Mary’s Place by the Sea with her friend, Maria McKeon, less than six months later. As a founder of Mary’s Place by the Sea, Michele oversees day-to-day operations, coordinates fund-raising activities and secures sponsors and donors. She draws on her broad experience in higher education and customer service to manage the organization. 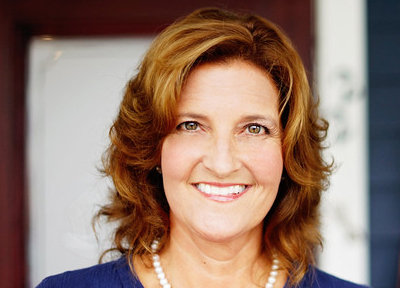 Michele has a Master’s Degree in Education from West Virginia University and is a 2013 graduate of the Institute for Integrative Nutrition in New York. Michele has been recognized by many community leaders for establishing an organization to serve women that has hosted over 5,000 guests in 6 years. Recently, she was recognized by Leading Women Entrepreneurs as one of the Top 25 Women Entrepreneurs in New Jersey. Today, the women of Mary’s Place by the Sea are behind its expansion aimed at helping even more women across the U.S.